There are tons of incredible destinations around the United States that should definitely be included on your once and a lifetime road trip. But it isn't always about the destination. Sometimes the most amazing experiences happen unexpectedly while on the road. From random wildlife to unbelievable scenery or shaded forests to colossal mountains. There are always new things to be seen on the road. It’s part of the joy that comes along with a cross-country road trip. In this article, I’m going to talk about some of the most scenic drives in the United States. Some of which I’ve been to myself and some I dream of visiting on my next trip. These drives are guaranteed to turn a boring drive into a thrilling sightseeing adventure. 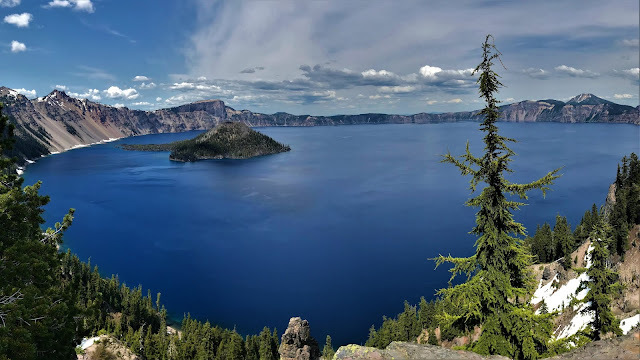 Okay so Crater Lake might be more of a big destination rather than a just a scenic drive on the way, but it is one of the most beautiful places I have ever been. And aside from the roads into the park and some various back roads, the only main road through the park takes you right along the rim of the crater. I found that no matter where you were going to in the park there was at least one stretch with unbelievable views of the iconic lake. There are plenty of things to do and see all over the park, but the best by far is simply looking out at the shimmering sapphire lake. There are plenty of hikes that offer breathtaking views but aren’t as easily accessible when traveling with kids. An easier way could be to get in the car for the day, take the road around the lake and enjoy the views at your own pace from the many pull-offs or from the comfort of your car. 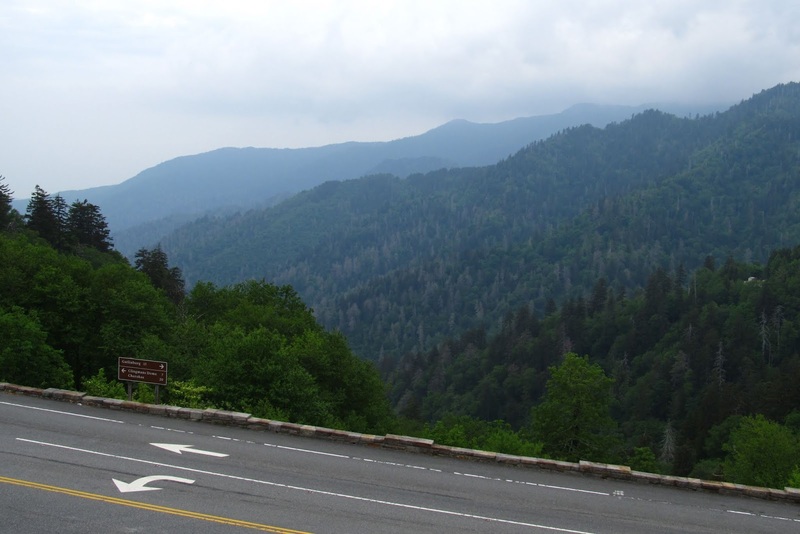 Okay, so your road trip plans might not have you specifically stopping in Tennessee, but if you’re passing through you definitely want to take a drive on the Appalachian Foothills Parkway. The parkway traverses the beautiful Great Smokey Mountains and passes waterfalls, vineyards, rolling farmlands, and if you’re lucky you might be there at the right time for a local festival. California’s Highway 1 is a classic scenic drive that must be included in this list. 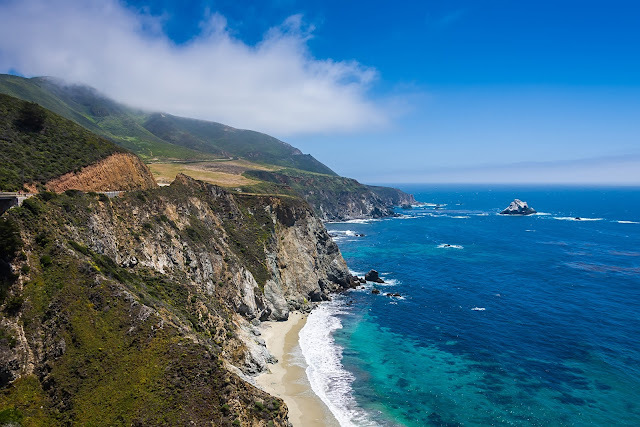 As many know, this route takes you along most of California’s outrageously pretty coast and makes for a perfect detour for anyone taking the trip north or south along the west coast. Although it’s a longer drive than just taking the I-5 its well worth it. I think it’s the best way to really experience the Californian coast in all its beauty. 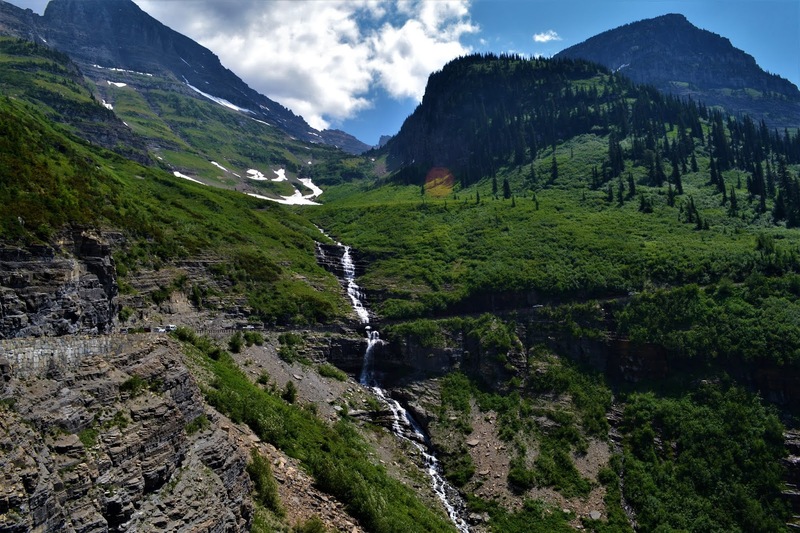 Much like Crater Lake, Glacier National Park is gorgeous, full of hikes, and other activities to fit anybody’s needs. But in terms of scenic drives, not many can beat Going to the Sun Road. Being the only road that goes all the way from one side of the park to the other you’re bound to find yourself driving down it at some point on your visit. If you’re coming from the west entrance then you’ll be able to see most of the park on your way to the start of the road. Going to the Sun road takes you up thousands of feet passing through miles of towering mountains carved into the sky by the melting and freezing of glaciers. It really is fascinating to see what time can do to a landscape. And you really get a sense of it when driving up Going to the Sun Road. Although it's beautiful, one thing to keep in mind is that it is a very steep road and rough on cars. On our way up, we saw and smelled many cars struggling to make the climb. So make sure you're up to date on car maintenance before planning a trip to Glacier. 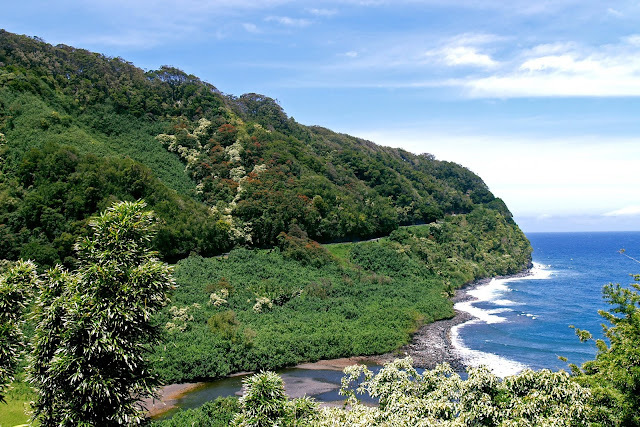 Obviously, Hawaii has its fair share of scenic drives, but one of the most famous can be found on Maui. And makes for a perfect vacation activity. The 64-mile road snakes along Maui’s northeast coast, passing green cliffs laced with waterfalls on one side and open ocean on the other. The drive takes two to four hours one way depending on your ability to keep driving and not stop at every lookout like I would. It's always worth the extra time for an experience like this. Especially with the laid-back island life. When there’s no need to be anywhere else you might as well be spending your time in one of the many waterfalls surrounding Hana town! We’ve talked about drives along the ocean, but what about on the ocean? Driving across miles of open ocean is certainly a unique experience, to say the least. 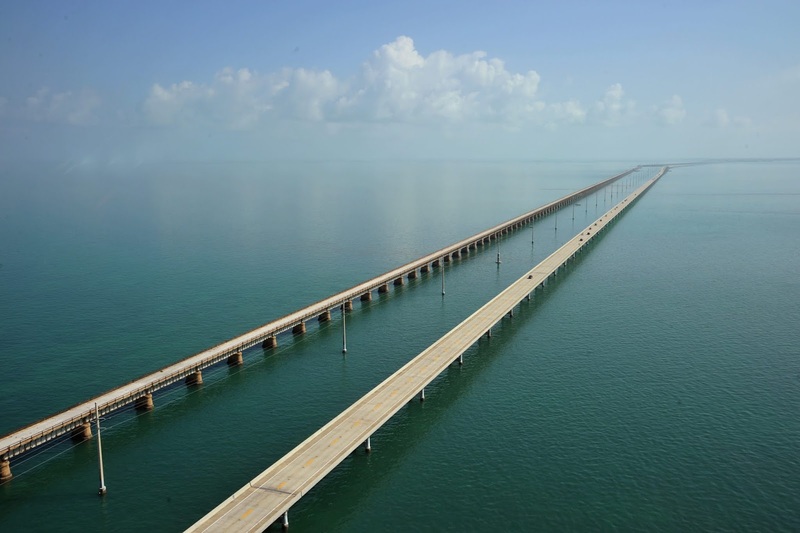 And you can do exactly that on the Overseas Highway in Florida. The 113-mile drive consists of long stretches of bridges from island to island with the longest being the famous 7-mile bridge. It might not have the same type of view as the other drives in this list, but I'm pretty sure there aren't many places in the world where you can drive on water. It might be out of the way if you’re not planning on adding Key West to your road trip, but the experience is well worth it. And hey, who doesn’t want to be sipping pina coladas on a white sand beach? There you have it. A list of some of the most scenic drives in the United States. There are many ways to spice up a boring road trip, but nothing does the trick like incredible views that everyone can enjoy. Let us know your favorite scenic drives in the comments below!